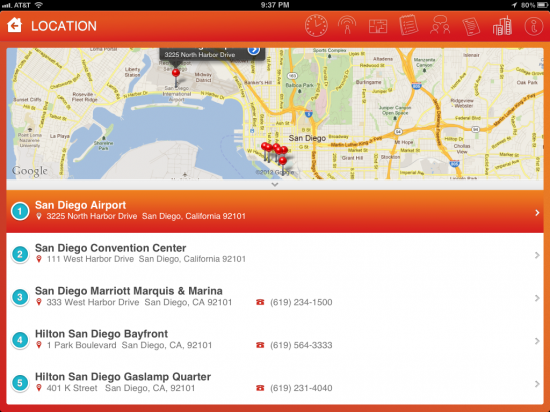 SolidWorks has posted a SolidWorks World App for Android and iOS (iPhone & iPad) devices. 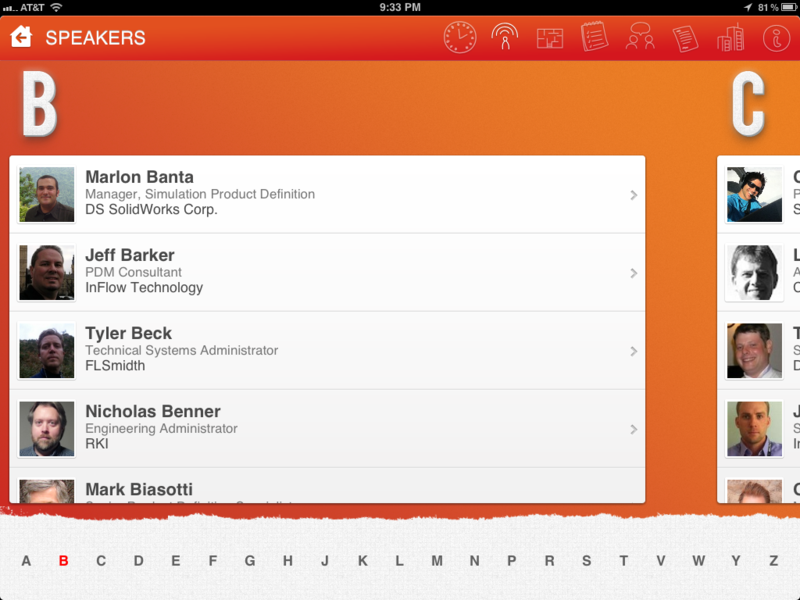 I’ve only spent a few minutes using it, but it looks like it will be a GREAT App if you are attending SolidWorks World. 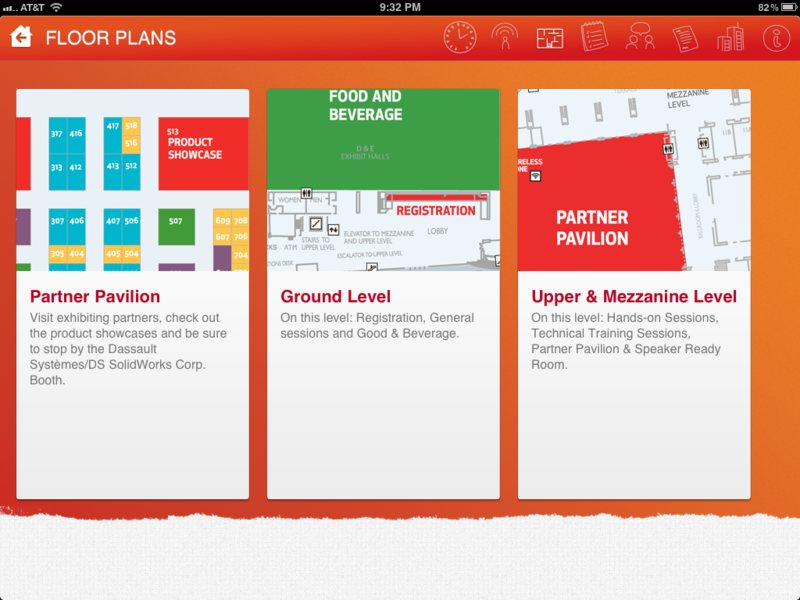 You can view Floor Plans of the Conference Center and Partner Pavilion. There is a complete directory of all the speakers from the breakout sessions. 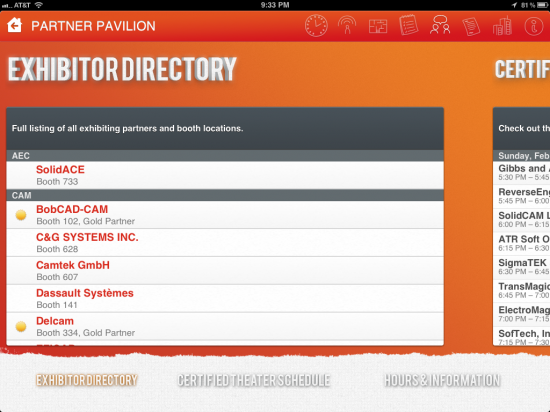 You can view a complete listing of all the companies in the Partner Pavilion along with viewing the “Certified Theater” schedule. Of course the complete schedule, registration info, hours, food, and special event information are also included! There’s even an integrated Google Map showing significant locations for the event. 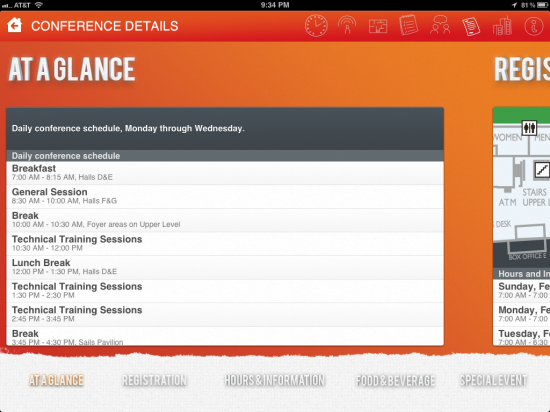 All the images above were taken from the iPad app. Nice job by SolidWorks in adding the iPad app and the Android App this year! 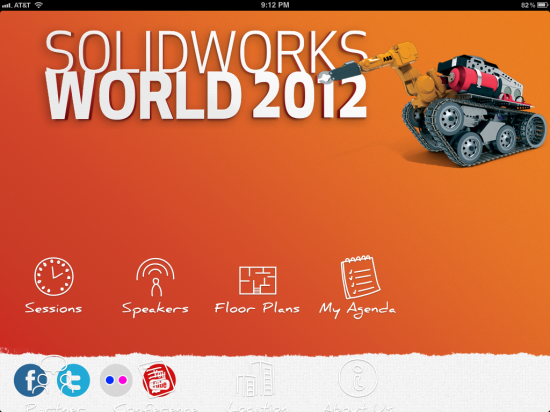 Stay tuned this weekend and next week for more coverage of SolidWorks World 2012! This App’s gonna be a great help for my day shift. with the skip hire firm.